Schut is one of the best historical painters from Antwerp in the first half of the 17th century . After starting his career in Italy under the influence of both Caravaggio and Domenichino (as seen in the old man’s turban), and also close to Abraham Jansens, he returned to Antwerp where he inevitably underwent Rubens’ impact and was called by him later to work on the décor at the Torre de la Parada for Philip IV of Spain. 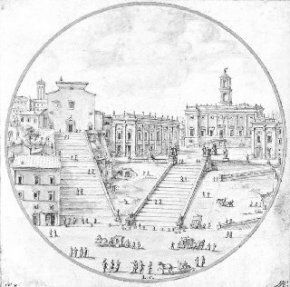 Besides its outstanding pictorial quality, it is particularly interesting because its provenance seems in all probability to be from the collection of the Archduke Leopold-Wilhelm, governor of the Spanish Netherlands from 1647 to 1657. 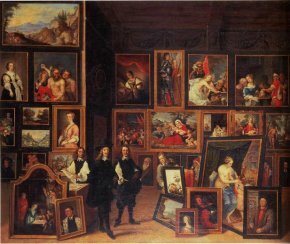 It is reproduced in a painting by David Teniers held at the Museo Lazaro Galdiano in Madrid representing The Archduke’s art gallery in one of the rooms at the Palais du Coudenberg in Brussels (ill. 2). At the time it was inside a simple black frame. This painting is rather different from the other three already owned by the institution (two very large formats and a study for an altarpiece). We know that David Teniers advised Leopold-Wilhelm and reproduced in small format several of the works he owned, for the purpose of engraving them, thus creating the first illustrated catalogue of a collection to ever be published (the Theatrum Pictorium). Brussels, which did not have any of these small panels, managed to acquire Paris’ Discovery, after Giorgione (ill. 3), also from the Leegenhoek Gallery. The original painting has been lost today. This acquisition was displayed in the recent exhibition on Flemish paintings in Queen Elizabeth’s collection organized by the Brussels museum between the stops in Edinburgh and London. 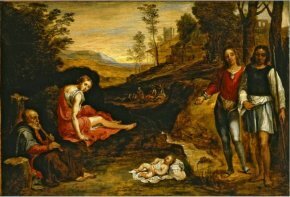 This copy after Giorgione hung next to two copies after Titian (Queen’s collection) and The Archduke Leopold Wilhelm in his Italian Painting Gallery (Brussels, MRBA) also by Teniers, where the other Giorgione of Leopold Wilhelm, The Three Philosophers, can be seen and which is at the Kunsthistorisches Museum in Vienna. A copy of this last canvas by Teniers is at the National Gallery of Ireland in Dublin. 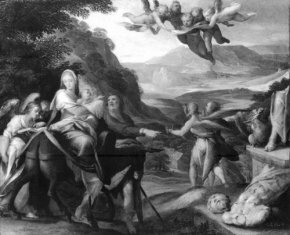 Among other recent acquisitions of 17th century Nordic paintings, we would also like to mention The Flight into Egypt, signed by Bartolomeus Spranger, a small copper (ill. 4) which went unsold at the Christie’s sale in London on 6 July 2006 and was negotiated afterward along with two drawings, The Marriage of the Virgin (ill. 5) by Jacob Jordaens and a Landscape by Lieven Cruyl (ill. 6). An upcoming news item will present 19th century acquisitions by the Musées Royaux. 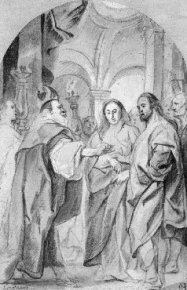 The works of Cornelis Schut and those of his nephew Cornelis Schut II, a student of Murillo active in Spain, were often mistaken for a long time. They are now clearly distinguishable. 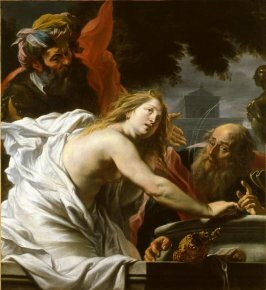 See Gertrude Wilmers’ monograph, Cornelis Schut (1597-1655) : A Flemish Painter of the High Baroque, Ida-Brepols, 1996 (Susanna and the Elders is catalogued on page 147, n° A83).